Arabs need to read in their own language so they can understand and discuss the various aspects and complications of democracy in the United States and the West. If an Egyptian reads an article exposing the actual cost of a construction project in Washington, then he or she would be able to better understand the implications of similar projects in his or her community. The Arab world needs a modern version of the old transnational media so citizens can be informed about global events. More important, we need to provide a platform for Arab voices. We suffer from poverty, mismanagement and poor education. Through the creation of an independent international forum, isolated from the influence of nationalist governments spreading hate through propaganda, ordinary people in the Arab world would be able to address the structural problems their societies face. We are concerned about ongoing campaigns by Russia, China and other foreign actors, including Iran, to undermine confidence in democratic institutions and influence public sentiment and government policies. These activities also may seek to influence voter perceptions and decision making in the 2018 and 2020 U.S. elections. Elements of these campaigns can take many forms, including using social media to amplify divisive issues, sponsoring specific content in English-language media like RT and Sputnik, seeding disinformation through sympathetic spokespersons regarding political candidates and disseminating foreign propaganda. A criminal complaint was unsealed here today charging a Russian national for her alleged role in a Russian conspiracy to interfere in the U.S. political system, including the 2018 midterm election. [Former NSA director Mike] Rogers has words of warning for the country as it faces myriad threats in the digital realm. And just weeks away from the midterm elections, Rogers tells Forbes that while Russia has been responsible for attempts to disrupt American democracy with online tactics, China is taking a different tack. It’s infiltrating U.S. organizations in order to gather intelligence on what elections will mean for the Asian superpower, Rogers says. “We continue to see the Russians involved, and quite franky, it’s not unique to them. You’ll see the Chinese in activities in this area,” he says.
. . . former Central Intelligence Agency director John Brennan . . . refrained from retreating into fingernail-chewing anxiety. Instead, Brennan said he’s confident in the work being done to secure voting systems—even as he harbors doubts about security leadership in President Trump’s White House, and people’s ability to focus on threats beyond those we’ve already seen. Saudi Arabia and Qatar have waged an information war over the death of a Saudi journalist, trading blows with Twitter bots, trolling and at times propaganda in a fight that highlights the divisions of a realigned Middle East. * * * For nearly three weeks, Qatari national broadcaster Al Jazeera has pushed round-the-clock news coverage of his disappearance. A company with ties to the Muslim Brotherhood—the Islamist political movement close to Qatar and reviled by Saudi Arabia—created an English-language website to shame Western executives from going to an investment conference in Riyadh. The electronic army’s insults are relentless, their pace dizzying. They brand people “cockroaches” and “traitors.” They engulf news with mistruths. To Saudi opposition activists, they are known as the “flies.” The disappearance of Saudi journalist Jamal Khashoggi more than two weeks ago has dragged the kingdom’s cyber-battles to center stage, with a vast network of Twitter accounts in the spotlight for amplifying Saudi government denials of involvement and hounding dissidents who contradict the official line. Twitter suspended a network of suspected Twitter bots on Thursday that pushed pro-Saudi Arabia talking points about the disappearance of journalist Jamal Khashoggi in the past week. Twitter became aware of some of the bots on Thursday when NBC News presented the company with a spreadsheet of hundreds of accounts that tweeted and retweeted the same pro-Saudi government tweets at the same time. Mr. Khashoggi’s online attackers were part of a broad effort dictated by Crown Prince Mohammed bin Salman and his close advisers to silence critics both inside Saudi Arabia and abroad. Hundreds of people work at a so-called troll farm in Riyadh to smother the voices of dissidents like Mr. Khashoggi. The situation is made worse, however, with the absence of a Deputy National Security Advisor for Strategic Communications within the National Security Council at the White House. Worse, still, are the petty politics within the Strategic Communications and Public Diplomacy circles over the mission passed to the Department of State following the dissolution of USIA/USIS. Continuing to beat that dead horse, without a ‘national information strategy for strategic communications and public diplomacy’, all talk of recreating such an entity, all talk of beefing up the Global Engagement Center, all talk of actually countering foreign disinformation, are foolish without such a strategy.
. . . some countries are making creative connections with Americans, far from the traditional halls of power in Washington. Germany is focusing on culture and heritage in its Wunderbar Together campaign, with a database for an estimated 50 million Americans who can trace their lineage to Germany. It is holding 1,000 events in every region of the United States in the next year, commemorating the 30th anniversary of German reunification. Last week, a German breakdance troupe, the Flying Bach, performed in front of the Lincoln Memorial. Programs like the German “Wunderbar together” have existed for centuries — and have existed because of their cost-effective, highly credible impact. “Creative connections” by government across all sectors of society is the public dimension of official diplomacy, ranging from short messaging activities to speaker programs of medium length, months-long exchanges of artists, scientists and educators, and multiyear public-private partnerships on entrepreneurship, trade, technology, sustainable development and more. During the Cold War, Radio Free Europe, which grew over the years into a critical institution, played an important role in fostering and sustaining the hope of freedom. Arabs need something similar. Other new or existing tools might also focus on countering international efforts by nondemocratic governments in the media space that are corrosive to democracy. * * * Also potentially relevant is the work of U.S. international broadcasting entities overseen or funded by the U.S. Agency for Global Media (formerly the Broadcasting Board of Governors, BBG). “Information is an element of combat power,” the manual states. Unlike Russian and Chinese information warfare, the Army manual indicates that U.S. information operations will be carried out under professional military rules and legal constraints and will be conducted “ethically.” U.S. military information operations have been hamstrung by legal restrictions, according to military officials at the Central Command. They said in the past plans for information warfare against terrorists were scuttled by delays caused by legal reviews that prevented timely use of many information operations. In the early 2000s, a Pentagon plan to use strategic information warfare in the war on terrorism was abandoned after public affairs officials opposed the use of deception operations. Decades from now, it may be possible to automate the detection of fake news. But doing so would require a number of major advances in A.I., taking us far beyond what has so far been invented. The infamous Russian troll farm in St Petersburg is stepping up its disinformation warfare in 2018, according to a criminal complaintby US authorities against the organization’s accountant. I’ve had a front-row seat to observe how the government and tech companies dealt with terrorism’s online dimension, and to consider the similarities to today’s state-sponsored disinformation campaigns. Five key lessons stand out: improving technical methods for identifying foreign influence campaign content, encouraging platforms to collaborate, building partnerships between the government and the private sector, devoting the resources necessary to keep the adversary on the back foot, and taking advantage of U.S. allies’ knowledge. In 1934, the investigative journalist and novelist Upton Sinclair ran in the California gubernatorial election as part of the End Poverty in California movement (EPIC). * * * Business leaders and trade associations around the country, alarmed by the socialist elements of his agenda, put forth millions of dollars to support incumbent Gov. Frank Merriam. That outside money was used to promote lies and disinformation through leaflets, radio spots, newspaper hits, and a new media invention: partisan attack ads disguised as newsreels that ran before motion pictures in California movie theaters. Deepfakes — seemingly authentic video or audio recordings that can spread like wildfire online — are likely to send American politics into a tailspin, and Washington isn’t paying nearly enough attention to the very real danger that’s right around the corner. Disinformation and distrust online are set to take a turn for the worse. Rapid advances in deep-learning algorithms to synthesize video and audio content have made possible the production of “deep fakes”—highly realistic and difficult-to-detect depictions of real people doing or saying things they never said or did.
. . . we describe a new method to expose fake face videos generated with neural networks. Our method is based on detection of eye blinking in the videos, which is a physiological signal that is not well presented in the synthesized fake videos. Optimism about the potential democratizing power of new information technologies, the internet, and social media has been tempered in recent years as nondemocratic governments have grown more adept at using technological means to censor, monitor, distort, or otherwise repress potential social and political opposition.
. . . the task before Facebook, YouTube, Twitter, Instagram and others is admittedly herculean. No one can screen everything in the fire hose of content produced by users. Even if a platform makes the right call on 99 percent of its content, the remaining 1 percent can still be millions upon millions of postings. The platforms are due some forgiveness in this respect. It’s increasingly clear, however, that at this stage of the internet’s evolution, content moderation can no longer be reduced to individual postings viewed in isolation and out of context. The problem is systemic . . . In line with our principles of transparency and to improve public understanding of alleged foreign influence campaigns, Twitter is making publicly available archives of Tweets and media that we believe resulted from potentially state-backed information operations on our service. * * * These datasets include all public, nondeleted Tweets and media (e.g., images and videos) from accounts we believe are connected to state-backed information operations. Tweets deleted by these users prior to their suspension (which are not included in these datasets) comprise less than 1% of their overall activity. Today we are releasing all the accounts and related content associated with potential information operations that we have found on our service since 2016. * * * Why are we doing this? Earlier this year, we committed to the United States Congress and the public to provide regular updates and information regarding our investigation into foreign interference in political conversations on Twitter. Since that time, we have shared examples of these types of content posted on Twitter by the Internet Research Agency (IRA) and provided the public with a direct notice if they interacted with these accounts. In August, we also disclosed details of another attempted influence campaign we identified as potentially located within Iran. The strategic use of the internet and, more specifically, social media is indeed like war. Subsequently, it is the world’s primary battlefield, and we are all witting or unwitting co-combatants and targets. This hypothesis may make those of us who grew up studying kinetic warfare and material balances of power uncomfortable, but internet-enabled information matters tremendously. The proof is that political and military leaders are constantly attempting and succeeding to use such information—to an extent and pace unprecedented in history—to achieve effects inside other countries. Until Harvey, the Coast Guard could not “listen” to social media calls for help. This began to change as incident command leaders noticed the amount of emergency traffic originating from social media and quickly recognized the need to follow what was unfolding on Facebook and Twitter. The most ambitious politicians are becoming increasingly cynical about the reality of inhabiting a world defined by social media and biased press spin. You play the game. The Netherlands is the midst of a “cyber war” with Russia, Defense Minister Ank Bijleveld said on television program WNL op Zondag. According to the Minister, a foiled cyber attack by the Russian secret service on chemical weapons watchdog OPCW shows that the nature of war has changed. “People try to influence our normal daily life, our democracy”, Bijleveld said, according to ANP. “We have to get rid of naivety in that area.” According to Bijleveld, that is partly why the Ministry decided to make the foiled hack on the OPCW public. At this point one would have thought there would have been some confirmation of Bloomberg‘s report that China had successfully insinuated “spy chips” into the supply chain of a hardware manufacturer. But such confirmation has failed to appear. No confirmation yet of the Chinese supply-chain seeding campaign. In just one week following Pence’s speech and the Bloomberg story, we saw an almost daily barrage of negative China news. A White House report cited Chinese theft of dual-use technology as a top threat facing the US defence industry. The Department of Justice announced the arrest of a Chinese intelligence officer for espionage targeting US aviation technology. What is clear is that the US and China are engaged in what is shaping up to be a deepening conflict over technology and cyberspace. The contours of this conflict extend well beyond this one story. There are no offramps in sight.
. . . recent trends suggest a greater use of algorithmic exploitation to conduct information-operation campaigns. These campaigns are unique in that they do not appear to break any laws, domestic or international. * * * [Tim] Maurer organizes the various modes of proxy use into three main categories: delegation, orchestration, and sanctioning. Natural disasters can make affected regions more prone to cyber attack, Army National Guard Col. Keith Donnelly said during a Friday cyber threats panel * * * “Cyber criminals are gonna take advantage at your weakest moment,” he said, likening the risk of post-disaster cyber attacks to that of theft. “Just like looting, when you go into a situation where you don’t have any security, people are gonna go in and take things that don’t belong to them,” he said, saying that a parallel scenario plays out in the realm of cybersecurity. * * * in the wake of Hurricane Katrina’s devastation in 2005, hackers attacked the websites of the Louisiana state government and local parishes. History has become a deeply contentious topic in the post-communist space, particularly with regard to World War II, Communism, and Nationalism. Memories are not static, and our increasing historical knowledge is embedded within a dynamic contemporary context. Shohrat Zakir, chairman of the Government of Xinjiang Uighur Autonomous Region, told state-run Xinhua News Agency that the “three evil forces” of terrorism, extremism, and separatism were the driving forces for launching the “vocational education and training program.” He added that the country has spared no efforts in protecting the basic human rights of citizens from the harm of terrorism and extremism.
. . . a sophisticated Saudi influence machine that has shaped policy and perceptions in Washington for decades, batting back critiques of the oil-rich kingdom by doling out millions to lobbyists, blue-chip law firms, prominent think tanks and large defense contractors. In 2017, Saudi payments to lobbyists and consultants in Washington more than tripled over the previous year, public filings show. 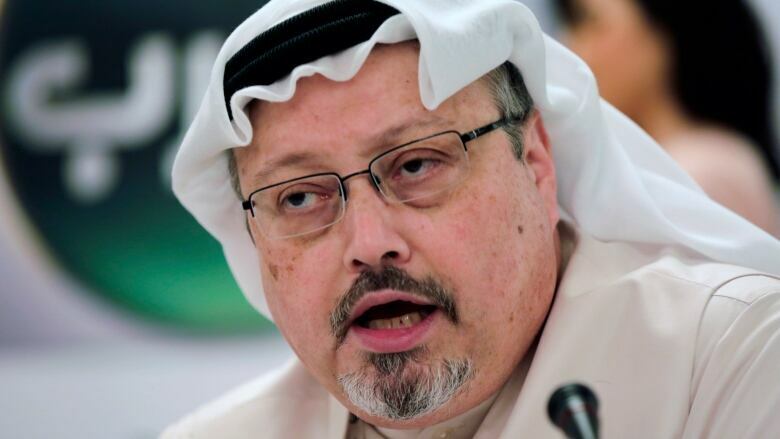 The strength of the Saudi operation is now being tested amid a global condemnation of the killing of Washington Post contributing columnist Jamal Khashoggi earlier this month in the Saudi consulate in Istanbul — a death the kingdom belatedly acknowledged last week. This has led many researchers to conclude that the agreement with specific conspiracy theories is not so much dependent on the specific topic, but is rather the manifestation of a more general worldview. The ‘conspiracist ideation’, ‘monological belief system’ or ‘conspiracy mentality’ can be thought of as the general extent to which people see the world as governed by hidden, sinister forces. Most blame the conspiracy mentality on a sense of profound lack of control in their lives, whether due to randomness or the machinations of others. Throughout modern history, most tyrannies and one-party states have shared a few basic traits. Power is held by a very small number of individuals. To maintain their power, those individuals repress dissent and rule by intimidation. Because bureaucrats and citizens live in fear, they compete to flatter their bosses. Nobody tells the truth, especially when it could make them or their leaders look bad. As a result, cloistered tyrants—their egos bloated by constant, obsequious praise—find themselves increasingly cut off from reality and the rest of the world (think Kim Jong Un, Bashar al-Assad, or Robert Mugabe) and end up ruling by whim and instinct with little sense of what’s actually happening in their own countries. The impact of this ignorance on domestic and foreign policy is disastrous. The appetite for selective, biased, or partisan information is growing, and it will continue to do so given apparent trends in the U.S. public’s information literacy, critical thinking, and partisanship. The country cannot merely wish away its confirmation biases. * * * Whether for ideological, tribal, partisan, financial, or other reasons, Americans may simply not be interested in truly understanding and critiquing the information that they receive through their phones and computers, both during their day-to-day lives and before the upcoming midterm elections. Because of that, they will be increasingly the targets of “like wars” by aggressors foreign and domestic. As for the “liberalizing autocrat,” he turns out to be a rare creature indeed. Autocrats, as it happens, are disinclined to lay the foundations for their own demise. They do not create independent political institutions, foster the rule of law or permit a vibrant civil society precisely because these would threaten their hold on power. Instead, they seek to destroy institutions and opposition forces that might someday pose a challenge to their dictatorial rule. Why should we expect otherwise? Yet we do, and for a variety of reasons. In this report, we argue that today’s digital advertising infrastructure creates disturbing new opportunities for political manipulation and other forms of anti-democratic strategic communication. Ad platforms, web publishers, and other intermediaries have developed an infrastructure of data collection and targeting capacities that we call the Digital Influence Machine. The new RealClear Opinion Research poll identifies five [American “tribes”], grouping them on the basis of a series of questions about voting behavior, political identification, stances on issues, and assorted attitudes about race, immigration, and other wedge issues. After living in the US for nearly 70 years, I cannot even consider thinking of anywhere else as home. And yet the US I’m living in today is not the US I remember. It is not the same country that welcomed me as a young man, the country I fell in love with and chose to make my home. The images of acceptance and hope that have compelled so many to come to the US are being replaced by “get out” signs. To those in China still envisioning the open hands of the Statue of Liberty, I give you this warning – Chinese are no longer welcome here. Over the past 40 years, revisionist scholars have challenged the notion of American exceptionalism: the idea that America is a white, Christian nation with a special destiny as a beacon to the world. Their deconstruction of American mythology has reshaped academia and found comfortable acceptance in the secular left, but it has also created a significant void. We have not replaced this mythology with one that reflects the stories we have uncovered. This failure brings peril. Humans have always resorted to myths — narrative stories — to understand collective identity, and if academics are not writing them, then Fox News will.
. . . the 29-member alliance – including the United States – has begun implementing an agreement from that summit to deter state-sponsored cyberattacks. In the past two weeks, plans for the alliance to operate in cyberspace have been bolstered by two announcements. For more than three years, a Finnish journalist who investigated Russia’s army of vicious internet trolls faced a barrage of false accusations online that she was an American intelligence operative, a drug dealer and an unhinged bimbo driven by Russophobia. This week, the journalist, Jessika Aro, got a measure of satisfaction when a court in Helsinki convicted two of her most dedicated slanderers of defamation and handed them unusually harsh sentences. [Russia’s culture minister Vladimir] Medinsky added further to his notoriety with this pronouncement on October 16: Rap is Russian. And Soviet-era poet Vladimir Mayakovsky was the first rapper. For the past several weeks, the Kremlin’s channels have focused mainly on spreading disinformation about Western countries: trying to bury the facts about the Skripal poisoning under distractions and fakes; or inventing other chemical and biological attacks, like here, or here. But this past week, Russia’s disinformation campaign has re-focused on its number one target: Ukraine. This appears to be a replay of the school massacres in the West, by a disturbed copycat, who wanted to replay Columbine. A tragedy like all such happenings. What is disgusting is how the Russians are using this for propaganda, to distract from their sins, and to peddle Crimea as Russian territory, rather than occupied foreign territory, with the assistance of a good number of clueless proxies in the Western media. They are making suggestions the shooter had accomplices in planning, which will no doubt be found to be somehow connected to Ukraine. Yet Russia issued a firearm license to the shooter. While the United Kingdom and the Netherlands pushed for swift action following an attack on the Organisation for the Prohibition of Chemical Weapons in The Hague that was widely attributed to Russia, other countries balked. Italy and France were among the countries wary about calling Russia out on its alleged hacking attempts, diplomats said. The reassuring part of this vision is that in a world of national egoisms, big wars make little sense, and war, according to Lukyanov and collaborators, is shifting into cyberspace. Since the late 1990s, when the United States first established partnerships in biological studies with several former Soviet republics, Moscow has repeatedly suggested that such cooperation represented a threat to Russia. These biological research facilities were built as part of the Nunn-Lugar Biological Threat Reduction Program, named after its leading US Senators, Sam Nunn and Richard Lugar. The program seeks to dismantle the former Soviet Union’s massive biological weapons research, development and production infrastructure. * * * Last April, Russian foreign ministry press secretary Maria Zakharova stated that the US, through programs financed by the Pentagon, is creating a network of microbiological laboratories in the Caucasus and Central Asia. She added that “the very fact of the large-scale medical-biological activities of the Pentagon on the borders of Russia” causes particular concern for Moscow. While the hacking of a social media site in Latvia on Saeima election day, October 6, made headlines, in fact the country was subjected to – and successfully repulsed – a wider cyber attack, reports Olga Dragileva of LTV’s De Facto weekly investigative show. Xi [is] making it much harder for government officials to interact with foreigners. In 2014, authorities began confiscating bureaucrats’ passports. Like so many of the government’s other recent restrictions, this move has been justified in the name of combatting corruption—the idea, ostensibly, is to prevent dirty officials from fleeing the country. But the fact that the policy has recently been extended all the way down to elementary school teachers and reinforced by other, related strictures—officials now must apply for permission to attend foreign meetings and conferences and account for their time abroad on an hour-by-hour basis—reveals that the real priority is limiting contact with outsiders and their ideas. China has dramatically increased the resources it puts toward public diplomacy, providing generous scholarships for foreign students and officials to study the China model, opening government-sponsored centers to advance understanding of Chinese language and culture, and launching a media campaign to shape the Chine narrative. Authorities are combining Mao-era human spying practices with new surveillance technology to ferret out outspoken professors and students who fail to follow Communist Party ideology. International and regional forces have all but deprived the Islamic State (IS) of its territory, yet its apocalyptic ideology allows it to continue fighting despite these losses. Sarah Wolfson, USC Annenberg School for Communication and Journalism, Jan 29, 2019Image from article, with caption: Austin Maddox, a M.S. journalism graduate student and a fellow in the USC Center for Public Diplomacy (CPD) attended the first major soft power conference in New Delhi, India. Photo courtesy of: Austin Maddox. “How do students, who are bombarded with information and always on their phones, remain present and mindful?” Austin Maddox asked. The USC Center on Public Diplomacy (CPD) fellow posed that question to Gopi Kallayil, Google’s chief evangelist of brand marketing at the Conference on Soft Power, a three-day event hosted by the India Foundation in New Delhi, India. Kallayil is known for blending technology with spirituality and mindfulness, including establishing a yoga program for Google employees. “Technology can either be used as a tool for great benefit or it can be a weapon of mass distraction,” Kallayil replied. “The choice is up to us as human beings; we have t..